After a teleconference with the North Pole, the National Weather Service and conversation with several local weather stations the decision has been made to cancel the annual Operation Santa scheduled for Saturday, December 15, 2018, due to the forecast of heavy rain. We had additional communications with those agencies who have advised that next Saturday December 22, 2018 is forecasted to be clear and sunny. 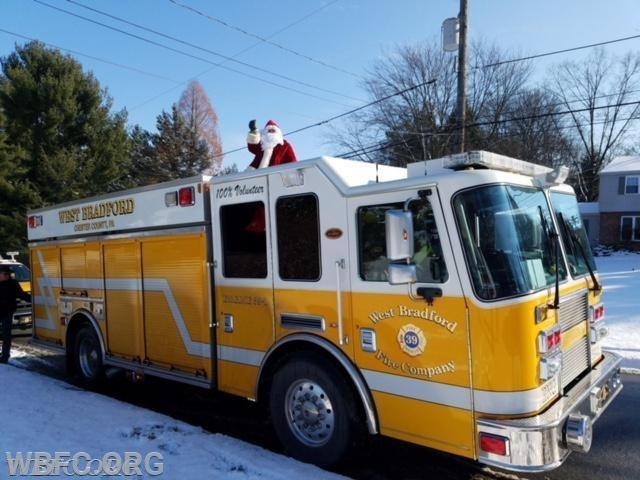 Our plan at this time is to reschedule for next Saturday to bring Santa to the West Bradford area. We are sorry for any inconvenience, however, as we stated previously we want everyone to be safe and have an enjoyable experience. Thank you in advance for understanding. Stay tuned for additional information on next weeks visit.